There are regions of the earth where water is thought responsible for the longevity of people in those regions. The Hunza Valley in northern Pakistan is famous for longevity. Also, the waters of Lourdes in France and other venerated sources. The waters of Tiacotle Mexico have been praised for their health giving properties. What is it about those waters that make a difference? They all have the same thing in common. They all have essential bio-available minerals in solution. So they are not absolutely pure. They are, however, all free of disease-causing bacteria, so they are safe to drink. These similarities do not account for their fame. We can make similar water in the laboratory and it does not have any more benefits than normal water. The reason these waters are so prized is all of them have a different structure than most waters. Researchers had to wait until Nuclear Magnetic Resonance became available to show that these waters have distinct structural differences from other waters. Good health is determined by the cells’ ability to receive water. When the cells walls are no longer flexible – aging begins. A child is 86% water but this is reduced to 65% as we age. Our brain is 96% water. Extra cellular fluid depends on more available Oxygen. Inner cellular consumption depends on more available Hydrogen, which is why maintaining a good pH balance in the water is so important. Distilled water is around 72-78 Dynes, whereas water necessary to penetrate the cell wall needs to be less than 46 Dynes. The reason alcohol is so easily absorbed by the body is because it is 28 Dynes. A Good Structured Water produces micro-clustered water which is between 32 and 43 Dynes. Water Structuring technology that utilizes nature’s own methods produces cleaner, softer, vital, better tasting water without using chemicals, salts or complex metal alloys for a truly maintenance-free total treatment water conditioning system. This system softens water while leaving in all the healthful minerals the body needs and which standard water softeners and reverse osmosis systems remove. This system’s process uses the dynamic characteristic of water itself to create a “Utopic Structured Water Unit” that works at the molecular level. The FluidMachine alters the molecular structure of the water and the minerals in the water. The healthful benefits of the minerals are made available to life while excess minerals, suspended solids and sediment are dynamically removed. Going beyond existing systems this Utopic Structured Water Unit employs an innovative application of an advanced understanding of the “Vortex” phenomenon. This water restoration process separates contaminants, while simultaneously restructuring, re-energizing, and reactivating the water itself. 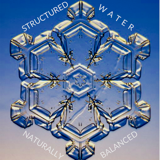 Another attribute special waters have in their structure is called ‘hungry water’, the ability to attract and encapsulate within the water molecule elements bad for human life. When this water is consumed it attracts more of these elements as it passes through to the elimination system. Elements good for human life ride on the exterior of the water molecule and are released into the body’s function. The benefits of structuring in nature’s way is to remove excess minerals and suspended gases from the water, restructure and revitalize the water, make it cleaner and better tasting, hydrate the cells better, lower the surface tension for better cleaning and mixing, and increase the Potential Hydrogen (pH) to 7.2-7.5 or more alkaline, and remove the built up scale in plumbing and fixtures. This gives water a lower surface tension and therefore better cell hydrating properties. In well units, structuring more efficiently removes excess minerals and suspended gases , including sulfur smell. The efficiency of the unit and the well, being ground water, is exponentially enhanced when the heavy discharged water is returned to the source of the well, through a process called ‘entrainment’ which causes all the elements to return to their family — their source. 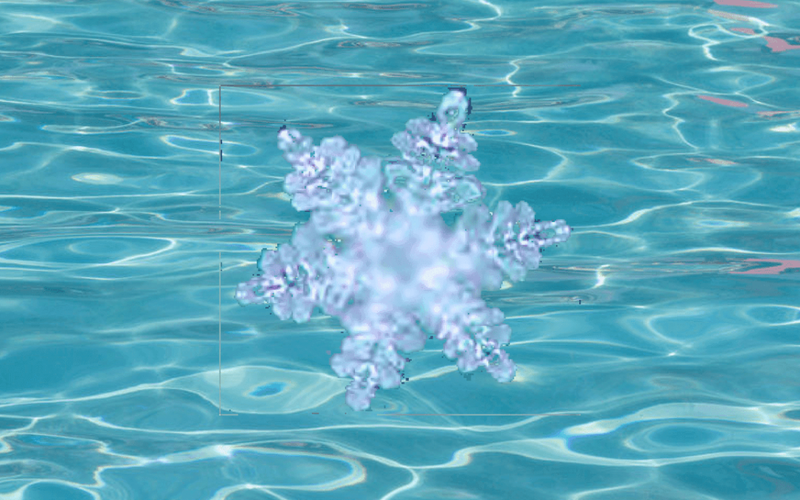 Structured water is loaded with negative hydrogen ions. “Hydrogen is the fuel of life.” All the food we eat does one thing for us. It releases hydrogen which is burned by oxygen in the final chemical reaction releasing the energy that makes ATP, the fuel that actually runs our bodies. Carbohydrates are one-third carbon, one-third hydrogen and one-third oxygen. We have enzymes in the body called dehydrogenates and their purpose is to loosen hydrogen on the food we eat so that the hydrogen (hydrogen is the fuel) can be burned by oxygen, releasing energy, and the carbon and oxygen left on the carbohydrate turns into carbon dioxide gas which we breathe out and the plants breathe in. That is called the Krebs cycle. Hydrogen is the energy source that runs our bodies; it is the energy source that fuels the universe; it is also the energy source that runs the sun. Hydrogen makes up 90 percent of the mass of the universe. Secondly, Albert Szent-Gyorgyi, a Hungarian physiologist, said that hydrogen is the carrier of electrons in the living system, and he added, no electrons are carried anywhere in the living system unless they are attached to hydrogen. Hydrogen is the carrier of all electrons in all chemical reactions. Cells, proteins and tissues in our bodies store hydrogen in huge quantities in such a way that you don’t need enzymes to use that hydrogen. And Szent-Gyorgyi also said he believed that it had something to do with cellular division itself and it is the secret of cellular division.